All HIGHLAND ESTATES homes currently listed for sale in Park City as of 04/24/2019 are shown below. You can change the search criteria at any time by pressing the 'Change Search' button below. "Beautiful newer home on over an acre and a half. 4 bedrooms upstairs with 3 baths, plus an office on the main level. Hard surfaces for all of the flooring, large eat in kitchen, long views toward the mountains, RV parking and power hookups in the driveway for a 40+ footer, and a boat/trailer. Quiet cool whole house fan. Nest thermostats." 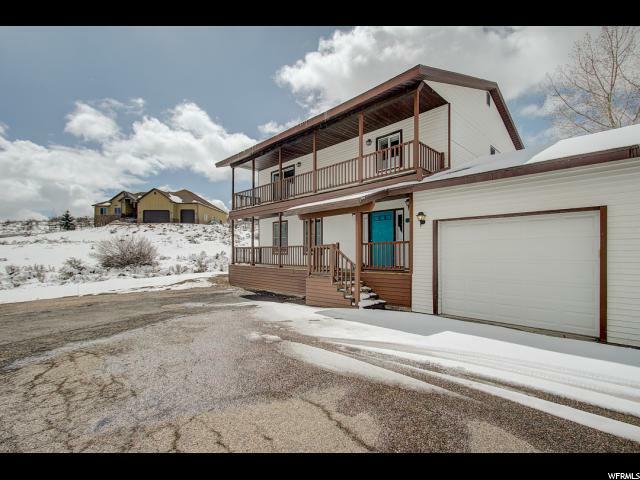 "4 bedrooms, 4 baths on over 1.2 acres with mountain views in the Park City School District. Main level kitchen, living room w/ wood burning stove, dining, laundry, 3/4 bath, and office or formal dining room. Master suite is on the upper level along with 2 guest bedrooms and shared bath. The lower level features a living room with a gas fireplace and a fourth bedroom and bath. Circular asphalt driveway, 2 car garage, and workshop."